Despite its ever-present role in pirate movies and pop culture, the mysterious Bermuda Triangle isn’t the only threat in the water approaching the shipping industry, according to a new report. The so-called new Bermuda Triangle, made up of the South China, Indochina, Indonesia and Philippines maritime region, amounted to almost a third of total shipping losses for 2017, and it’s just one out of a school of emerging risks that continue to nip at the sector. Even as shipping losses dropped to one of the lowest levels in decades last year, the industry hasn’t been immune to the effects of climate change and cyberattacks. The new Bermuda Triangle is particularly prone to bad weather – such as Typhoon Damrey last year, which caused six losses alone – amid a confluence of other factors. “Some of the areas in the region have a more lax approach to safety and safety management,” said Captain Andrew Kinsey, senior marine risk consultant at Allianz Global Corporate & Specialty (AGCS) who has already shed some light on key findings in the AGCS Safety and Shipping Review 2018 for Insurance Business. Risk is also concentrated in that maritime region because of the volume of shipping in the area, added Kinsey. Elsewhere, as temperatures rise and wildfires burn along the west coast, new shipping routes have been opening up as the polar ice caps retreat. There are threats lurking in the water, but also onshore. COSCO Shipping Lines was the victim of a cyberattack at the end of July that affected its North American operations and, in 2017, the Petya ransomware attack disrupted the shipping giant A.P. Moller-Maersk’s global ports. 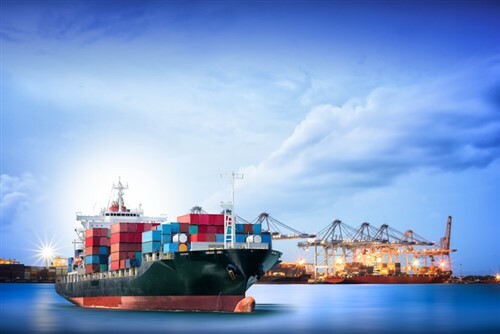 The AGCS review noted that shipping companies are starting to improve their cyber security by separating IT systems for different functions, including navigation, propulsion, and loading. The implementation of technology is helping transform ships and make them more efficient vessels, but progress comes with its own potential downfalls. “It’s not all 100% benefit without added risk. It’s a question of, if the juice is worth the squeeze sometimes,” said Kinsey. “As we look at the digital charting, then in order to update those digital charts, we now have to update those via the internet, so we’re introducing another potential avenue for cyber. Every new technology has its detractions, explained Kinsey, which means their benefits have to be carefully considered. With these and other threats on the horizon, low shipping loss numbers don’t mean that the industry should sit idle. “The only constant in our industry right now is change,” he said.